In this bold, genre-defying horror-musical mashup — the playful and confident debut of Polish director Agnieszka Smoczynska — a pair of carnivorous mermaid sisters are drawn ashore in an alternate '80s Poland to explore the wonders and temptations of life on land. Their tantalizing siren songs and otherworldly aura make them overnight sensations as nightclub singers in the half-glam, half-decrepit fantasy world of Smoczynska's imagining. In a visceral twist on Hans Christian Andersen's original Little Mermaid tale, one sister falls for a human, and as the bonds of sisterhood are tested, the lines between love and survival get blurred. 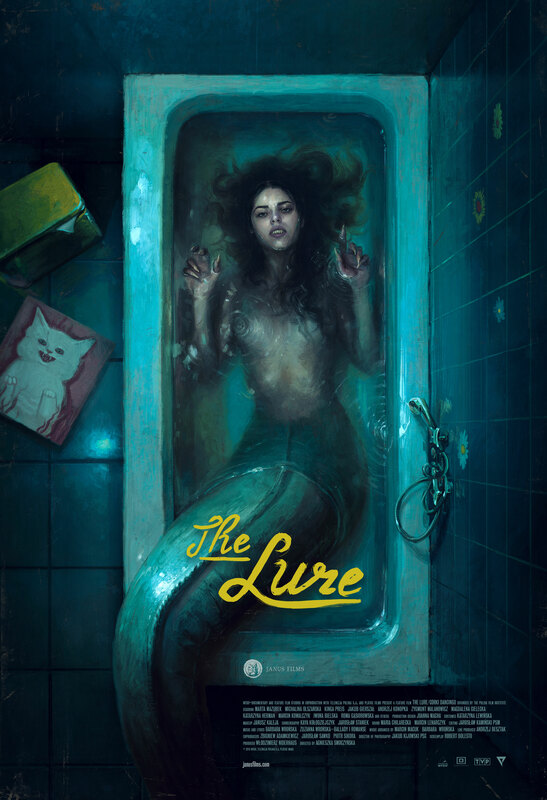 A savage coming-of-age fairytale with a catchy new-wave soundtrack, lavishly grimy sets, and outrageous musical numbers, The Lure explores its themes of sexuality, exploitation, and the compromises of adulthood with energy and originality.